Here it is; your opportunity to come home to this impeccably appointed brownstone on one of Park Slope's finest blocks. Situated on a 100-foot deep lot and standing nearly 20-feet wide, 174 Garfield Place is a legal 2-family that's currently occupied in its entirety by the present owners. The house has been completely updated, offering turnkey convenience and allowing the discerning purchaser the opportunity to settle in smoothly and easily. The parlor floor is expansive and grand, offering an airy living room with tall ceilings (nearly 11 feet), a decorative marble fireplace and two large windows that bring light streaming in. The open kitchen is completely remodeled, boasting features like a Sub-Zero refrigerator, Bosch dishwasher, Wolf range, Carrera white marble countertops and backsplash, endless counter and cabinet space with the help of a gorgeous built-in wall unit, and an oversized island with sink. Two closets offer the ideal pantry complement. The smartly located dining area is fabulous for breakfast and dinner parties alike and leads right to your large private deck, perfect for morning coffee, evening glasses of wine, al fresco meals and summer nights. A staircase leads down to your enormous garden, lush with greenery, peace and quiet . Back inside, the second floor contains the master suite (complete with en-suite bathroom and walk-in closet), a powder room for guests right off the stairwell, and a large family room with another fireplace and built-in bookshelves that can easily be used as a large office or another bedroom. Trot up one more level to find two more spacious bedrooms, another windowed full bathroom and a versatile nook that conjures up images of writing stories at a wooden desk or disappearing into a book. The garden level apartment is already perfectly configured for any purpose?a guest suite, a playroom, a den, a source of rental income. It can be accessed via private entrance or internal stairway alike, along with further garden access; no incorporation or separation required no matter your needs. (The laundry room currently sits here as well.) The cellar, expansive and dry, proves plenty of space for all your knick-knacks and already boasts a wine storage room. What more could you ask for? Some final goodies of note include a fully reconstructed front stoop, new windows, new mechanicals, new back deck, and 4-zone Central A/C, none predating 2013. 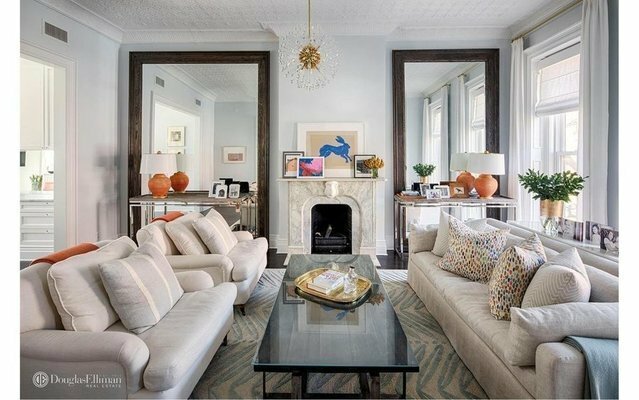 Epitomizing the elegance, sophistication and timelessness of Brooklyn brownstones, 174 Garfield Place is zoned for P.S. 321 and sits in the heart of Park Slope, tucked away between the shops, restaurants and nightlife of 5th and 7th Avenues alike. Prospect Park, Barclays Center, Poly Prep Lower School and Berkeley Carroll, The Atlantic Terminal subway hub?all and so much more right at your fingertips. An additional 700+ square feet of FAR (approximate; please consult your architect) give you further room to grow if needed down the road. Don't miss your chance to make this splendid home yours. Contact us today to arrange a private showing. And don't miss our video tribute to this special property at the end of the photos section!